One out of every seven HDB flat owners have problems paying their mortgage loans. This seems to be what the statistics have revealed. Last year, the HDB visited 60,000 flats which had problems paying their loans and gave financial counseling to 35,000 households. This is 14 per cent of the estimated 420,000 HDB loan mortgages – or one in seven. As of October last year, 33,000 HDB loans were in arrears over three months. This is about eight per cent of the total number who took HDB loans. In both instances, the numbers are a cause for concern, especially at this time when Singaporeans are facing job insecurity and spiraling costs. The number of flats which have been repossessed or surrendered to the HDB because of non-payment of mortgage loans is another worry. According to a Berita Harian report, 1,350 HDB flats were surrendered to the HDB in the last four years. In February 2007, Parliament heard that 360 flat owners had voluntarily surrendered their flats from 2002 to 2006. This means that the average number of flats surrendered per annum has increased from 72 (2002 to 2006) to 318 (2005 to March 2009). This is an increase of about 342 per cent, or about one flat a day now. This figure, however, does not include HDB flats on bank loans which are reportedly being foreclosed at about 60 a month. It also does not include those in arrears who have sold their flats in the open market. 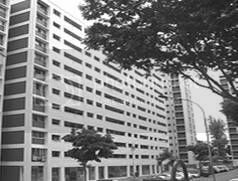 HDB profiteering from flat owners’ misery? When the HDB sends a notice of Compulsory Acquisition to flat owners, they are only given one month to vacate their flats, and only 90 per cent of the flat’s valuation is used to offset the loan arrears. It is hard enough to lose one’s home. Why does the HDB still want to make a profit of 10 per cent of the valuation? Why not give them a bit more time to find alternative accommodation? As a public housing authority with the mission to provide affordable housing for Singaporeans, is the HDB not in a sense, in breach of its fiduciary duty, in this arbitrary practice of eating up 10 per cent of the valuation? Are there any public housing authorities in the world that takes an additional 10 per cent profit on foreclosure? Parliamentarians may like to raise this issue with a view to refunding the “eaten up” valuation to all past foreclosed flat owners. What is the view of bodies like the Law Society of Singapore in this regard? In view of the above statistics, and with unemployment at a 5-year high of 4.8 per cent, 95,600 unemployed locals, and the record GDP contraction of 19.7 per cent in the first quarter, I would like to suggest that the HDB temporarily freeze asking those in arrears to surrender their flats. After all, as long as HDB flats appreciate at an average annual rate of more than the HDB concessionary loan rate of 2.6 per cent, every HDB flat may eventually be worth more than the outstanding loan and arrears, particularly when the current 13-year property bear market turns around.